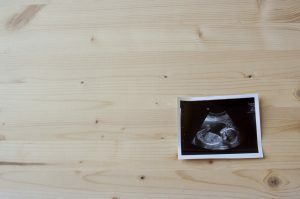 Home > How Does An OB/GYN Test for Pregnancy? How Does An OB/GYN Test for Pregnancy? If you suspect you may be pregnant, you should schedule an appointment with an OB/GYN as soon as possible. Although many home pregnancy tests are accurate, there is always a chance of receiving a false positive or false negative result. To find out for sure if you are pregnant, and to get more in-depth information, you need to be tested by an OB/GYN. Seeing the doctor early in your pregnancy will help you and your baby stay healthy. How does an OB/GYN test for pregnancy? Both over the counter pregnancy tests and urine tests taken at a doctor’s office work by screening for a hormone called human chorionic gonadotropin, or hCG, also known as the pregnancy hormone, that is made when a fertilized egg implants itself in your uterus. This usually happens around six to seven days after egg and sperm become united. One of the benefits of being examined by an OB/GYN if you think you may be pregnant is that the doctor can use blood testing along with a pelvic ultrasound to make sure you are pregnant, and detect any potential problems early so that they can be addressed properly. Both urine tests and blood tests can let you know if you are truly pregnant. One test is designed to detect the pregnancy hormone, hCG, in your urine, while the other test checks your blood. You will need to see an OB/GYN for the blood test. Urine pregnancy tests (known as UPTs) can be performed in your doctor’s office, and is normally the first step in detecting a pregnancy. Your OB/GYN can perform a UPT, a blood test, and a sonogram (a test done during pregnancy that uses reflected sound waves to produce a picture of a fetus) to determine not only if you are indeed pregnant, but also how far along the pregnancy has progressed. The blood tests your doctor performs can detect pregnancy earlier than a home pregnancy test. The drawback is that it usually takes two 24 hours to get results. 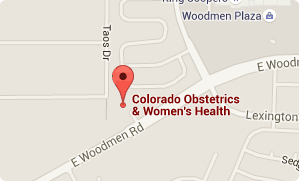 If you are looking for a caring OB/GYN who will listen to you and work with you to have the best possible experience, give us a call today at (719) 634-8800 to schedule an appointment with one of our friendly women’s health professionals. We look forward to helping you achieve your best health.